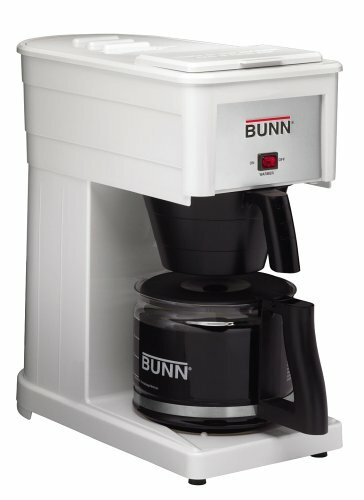 I am looking for suggestions for a good coffee maker for the office keeping in mind that I do not have a kitchen sink making clean-up a challenge. Due to the clean-up challenge, I will be using paper cups at work. I was thinking of a Clever Coffee Maker but am open to suggestions. (10-28-2013, 08:47 PM)Agravic Wrote: Keurig? I currently have a Keurig but am not too pleased with the quality of the coffee. Perhaps I need to get an adapter and grind my own coffee for it. We use a Keurig system at my office. We have a water cooler with 5 gallon bottles of water delivered regularly which helps with keeping fresh water in the maker. The system makes decent coffee but it is a far cry from your home set up. I just bought an electric kettle and will be experimenting with pour over coffee and may add this to my office brewing arsenal. So, to recap, Keurig works well in an office setting and I will update this suggestion to add the electric kettle option if I can seamlessly add it to my office setup. Tbd. I am not familiar with this one. I will have to investigate. You really don't want to go back to pods? you have been exposed to Aeropress,fresh roast and now with the Zass fresh ground. There is no going back you have entered the dark side. Clever dripper may be the way to go. However there are 2 very important variables which must be taken care of if the dripper is to be sucessful. 1. Cleanliness is crucial. Even without a kitchen sink. A possible way around this could be periodic soaks of the dipper in Cafiza. 2. Temperature is crucial in pourover. Use a programable electric Kettle. 3. Styrofoam cups? REALLY??? Get a thermos type cup and take it home with you at night and wash it out. You might want to do the same with the clever coffee diper. IMO an office coffee maker needs it's ease of use to matched by the quality of the brew. Therefore an automatic coffee machine that produces a variety of beverages would be my recommendation. You don't have a kitchen Phil and therefore won't be interested in anything that requires any real maintenance and cleaning. I own a Saeco Phillips similar to the one pictured below. It makes espresso, espresso lungo, cappuccino, latte, macchiato etc etc. IMO perfect for home or the small office. 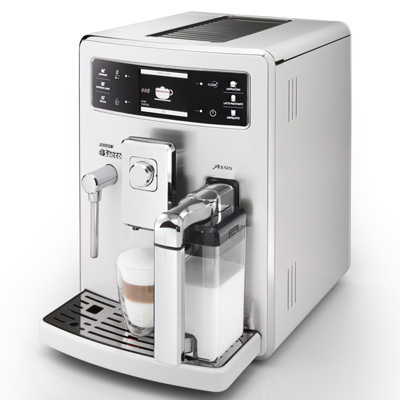 This is my 6th coffee machine and is the one I've been most satisfied with. It does't take up much space. Can be used in a fully automated mode ore as manually as you desire. It's quiet, reliable and an all in one solution. Tassimo is an excellent choice. (10-28-2013, 09:05 PM)Barrylu Wrote: You really don't want to go back to pods? you have been exposed to Aeropress,fresh roast and now with the Zass fresh ground. There is no going back you have entered the dark side. Clever dripper may be the way to go. However there are 2 very important variables which must be taken care of if the dripper is to be sucessful. No...Paper cups (like you would get at Starbucks). Truthfully, after using the Clever Coffee driper where are you going to store the coffee? You will need a good thermos device. Perhaps one of the pump models. Get either a thermos cup or a Bull Goose one. That sounds like an excellent idea! Thanks Barry. I can't stand Keurig and Tassimo systems. The easiest thing for your situation is something that takes paper filters. The Clever dripper is a solid choice, except that you can easily walk away and forget about it and come back to a cold brew. A Melitta #2 or the Bee House ceramic version are good. If you want to make more than one cup at a time get a Chemex. Phil, pour overs take time to brew. How fast will you want that cup of coffee? Will you be able to stop what you are doing to make a pour over cuppa several times a day? Even an AeroPress, as much as I love mine, may also be too time consuming. Depending on cost, perhaps Ben's idea would be best. Just picked up a great coffee maker...Bonavita 8 Cup Thermal carafe...uses #4 paper filters and the carafe keeps the coffee warm for 2 or 3 hours...Automatically shuts off after brewing and other than switching tops on the carafe...you are set. The carafe is glass lined stainless and it really works...brews at the correct temperature and is $100.00 less than the Moccamaster...check it out at Roastmasters.com (cost $169.99...no tax and free shipping)....this is for my house I don,t have an office!!!! Instant hot water, easy to clean. They also make a stainless steel version. Harvey, that is the only coffee maker I've used for the past 32 years. I would not be without one. Cheapest Mr Coffee that was large enough for your group. I would buy a new one for them every New Years. Hopefully the same model so we could keep the pot.